Day 4 of the 12 Days of Handmade Ornaments! 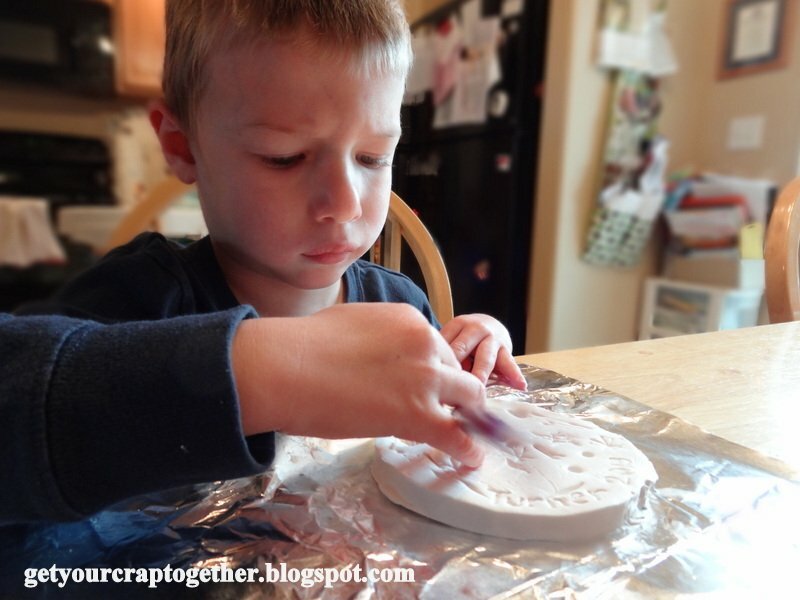 Today, I’m so excited to have Chelsea from Get Your Crap Together share her Simple Clay Ornament. I cannot wait to do this with our little one next year! Make sure you enter to win the Cricut Giveaway going on during our 12 day event! Hello Sew Woodsy Readers! I’m Chelsea and I blog over at Get Your Crap Together. I am so excited to be here today as part of Sew Woodsy’s 12 Days of Handmade Ornaments! My husband and I have a tradition of giving our children pajamas and an ornament each year when we decorate our Christmas Tree. 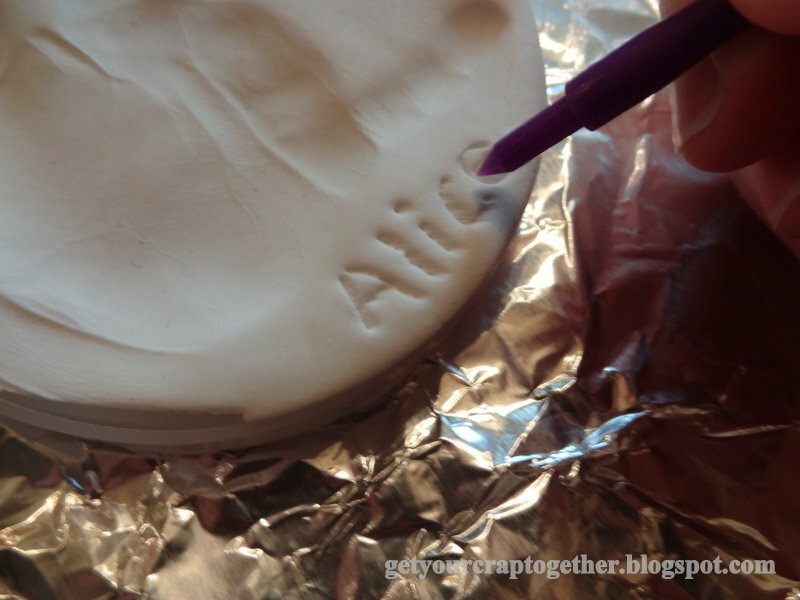 This little Simple Clay Ornament tutorial is a great choice for this year. 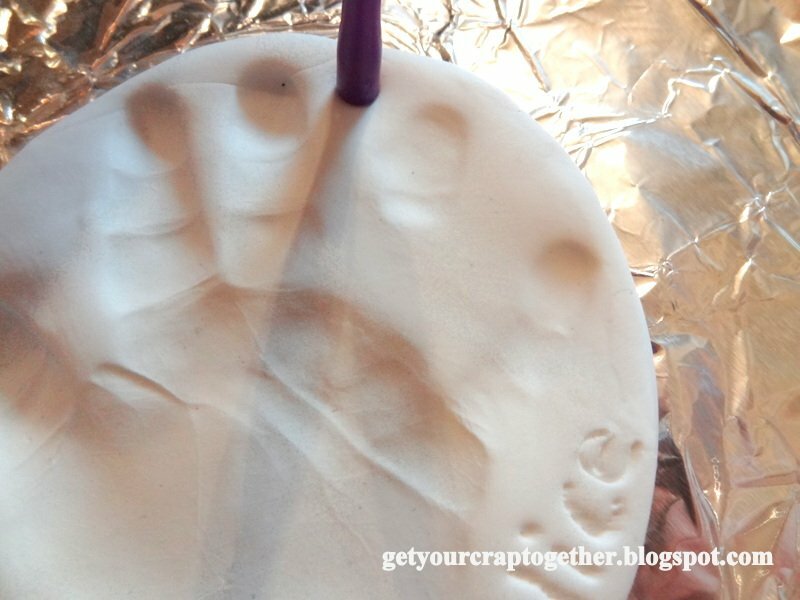 It is so simple, you can do them with your little ones and create your own memories. I used a piece of plastic and wrapped it to make a ring. If you don’t have one of these, you’ll need a large circular cookie cutter. Take the baking clay and knead it. 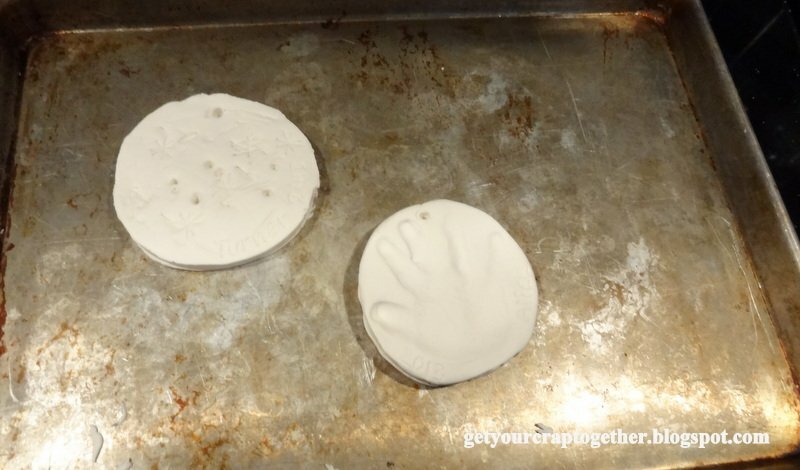 Place clay into the plastic ring or cookie cutter. Press clay until it forms a circle. Next, add your design! 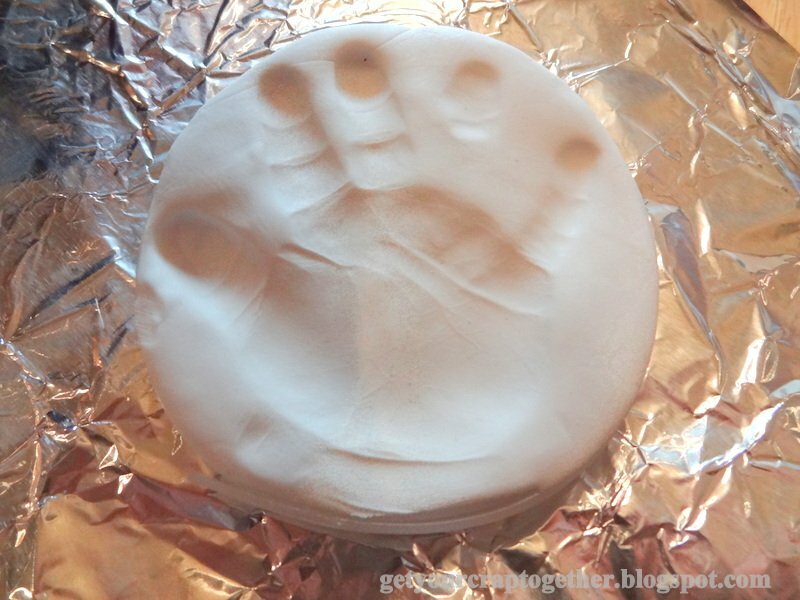 I used my baby girl’s hand print. My son got in on the fun. I gave him a pencil and her made his own designs. Mostly snowflakes. But he enjoyed it. You can use a pen or pencil to write a name, date, location. Whatever you want. 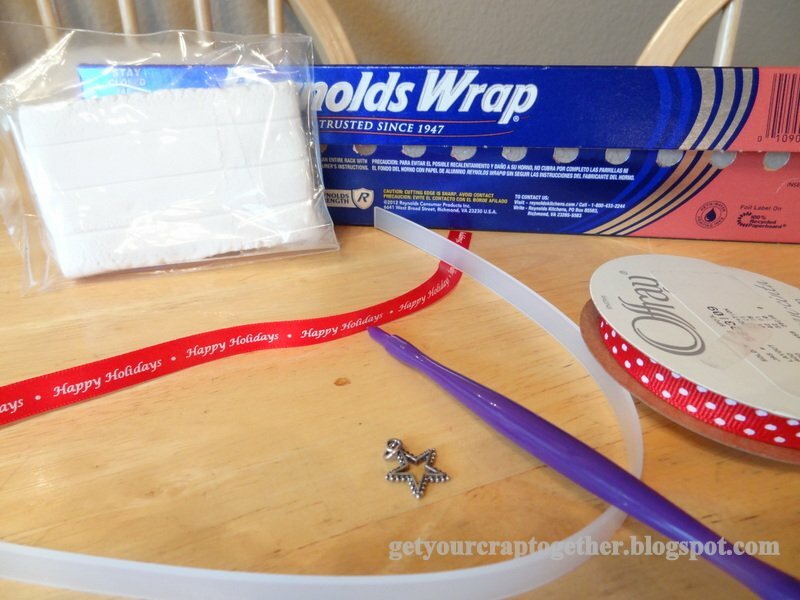 Make sure to punch a hole for the ribbon for hanging. And make sure that it punches all the way through your ornament. Bake for 30 minutes on 425 degrees. Don’t leave it longer. We don’t want it to burn. 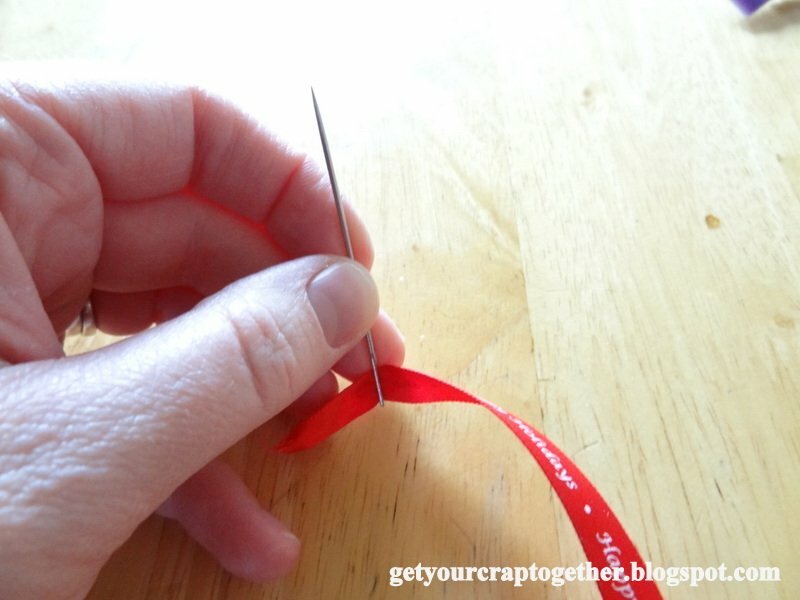 Last, thread your ribbon onto a needle. 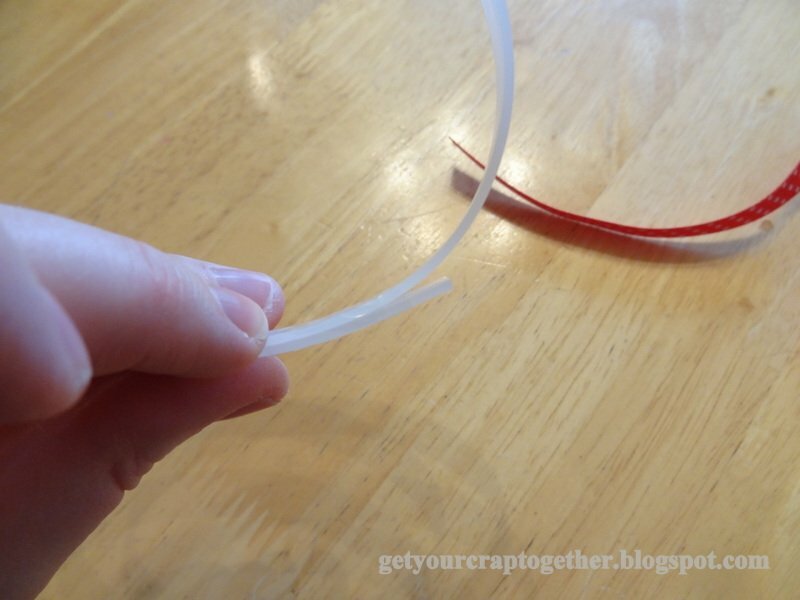 This helps since your ribbon tends to not go through the hole you punched earlier on its own. Now hang that cute ornament for everyone to see! 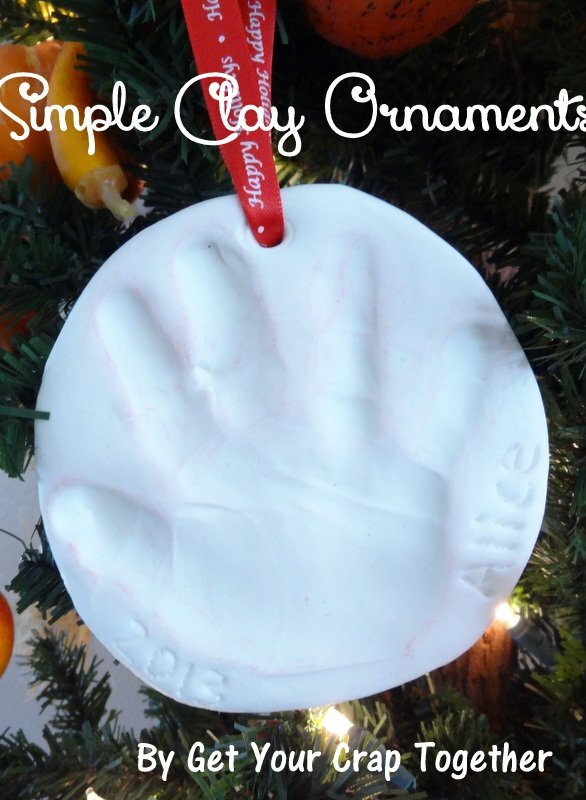 I love how easy this is and it will be a great memory every year when you trim the tree. Wonderful job Chelsea!!! Agree Kelly! I can’t wait to make these each year with my son!